Over a year ago Scott and I talked about taking a trip to Walt Disney World before A. started Kindergarten, possibly around the holidays. He bought a PassPorter's Disney World book to *do key research* and chatted up friends. After some hemming and hawwing, he put down a deposit and made reservations. Each week he put $$ aside automatically from his paycheck to pay for this jaunt. Soon it was time to book airplane tickets and reserve those *extra* magic events. He arranged for us to stay for a total of 7 days, with 5 full park days. Since this was our first time we knew we would waste some time navigating and learning the ropes. Our last full day was okay, but honestly I was pretty much done with the whole theme park experience. We've agreed next time 3, at the most 4, park days will be plenty. This year we spent the majority of our time at Magic Kingdom and Hollywood Studios. We spent part of a day at Animal Kingdom and two evenings at Epcot. I highly recommend the Park Hopper. This way you can visit different parks each day as the mood strikes. I'm sure as we visit in the future A. will have different interests, there will be new attractions and we'll spend our time differently. 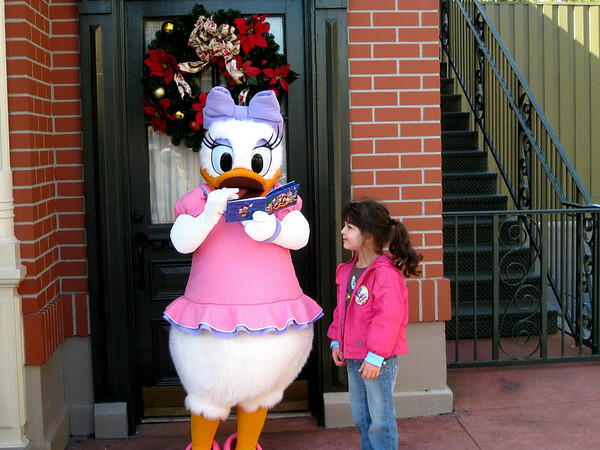 Of course it depends on the age and interests of your child, but for us the character greetings were a huge hit. A. absolutely loved getting their autographs and taking pictures with them. She kept track of the autographs she had and who she hoped to get. Even if you don't buy one of Disney's books (I think her basic one was $6.95), take a blank journal or spiral with you. Most of the popular rides have FastPass, which was a lifesaver. This system basically gives you a ticket to return at a later time without long waits. Sometimes it was difficult to plan everything out, sometimes things overlapped and we couldn't work out both. 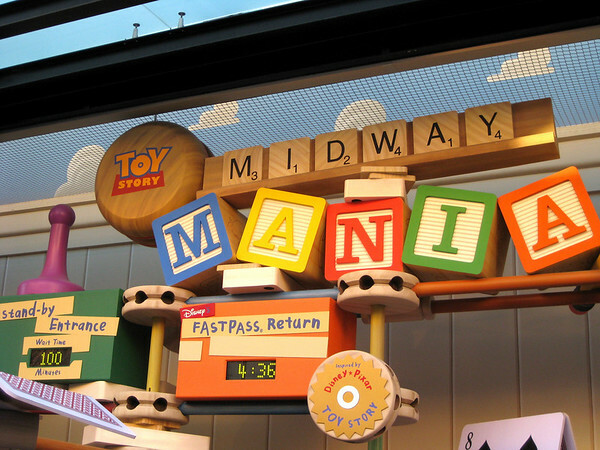 Some rides had wait times 60 to 110 minutes, so in those cases FastPasses saved the day. 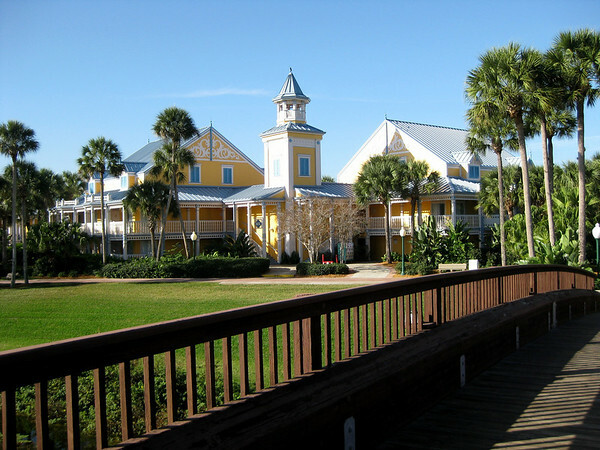 We stayed at one of the moderate Disney resorts, the Caribbean Beach. We weren't there a whole bunch, so maybe one of the economy resorts would have been just fine. We wanted to peek at some of the higher end resorts, just for kicks, but ran out of time. The resorts use a shuttle bus system to ferry guests to and from the various parks. This worked quite well for us. The only thing was not knowing the exact timing of the buses, sometimes we'd see three Hollywood Studios buses in a row while we were waiting for a Magic Kingdom bus and vice versa. It does eat into your time, but overall we were happy with their system. Each resort has a central building with a food court area, main pool and of course a souvenir shop. We ate breakfast there each morning and supper a few times. Since there are only three members in our family, we did not use the meal plan. I'm sure for a larger family it is really worth it. We weren't sure we would use all the meals/snacks available on the plan. The food is expensive and you are at their mercy. $2.00 for water, .99 cents per apple, banana, or orange. You get the idea. Next time we will pack sturdy snacks and maybe juice boxes/bottles of water in our luggage. I also saw some people splitting some meals, and we did that too a bit. Another lesson learned is making reservations ahead of time. We got sick of food court type food, but kept being turned away at sit down restaurants because we didn't have reservations. I wish we had planned that part better. 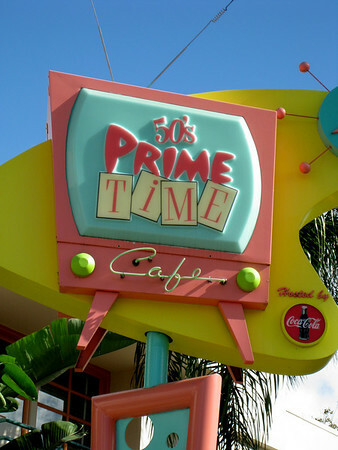 We did manage to make reservations for lunch on our last day at this restaurant in Hollywood Studios. It was very kitschy and fun. 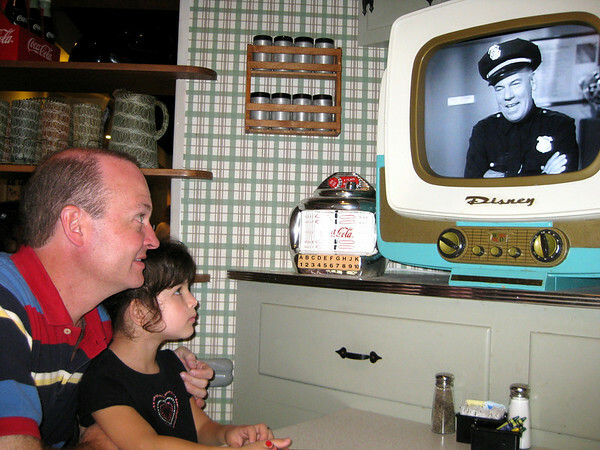 Every table was like a 50s kitchen dinette set, complete with a B&W television. Scott had meatloaf and I had pot roast with veggies (actual vegetables, folks) and it was dee-lish. 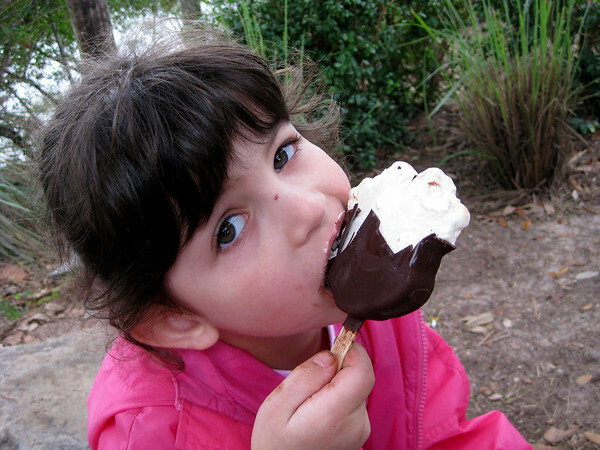 Who can resist a Mickey head on a stick? Not us. We tried our best to ignore the constant barrage of in your face capitalism. We tried. Those Disney execs are clever. Did you know that most rides and shows conveniently have you exit through a companion gift shop? Yep. Clever. We finally gave in after we rode the Pirates of the Caribbean and bought A. a little pirate set. 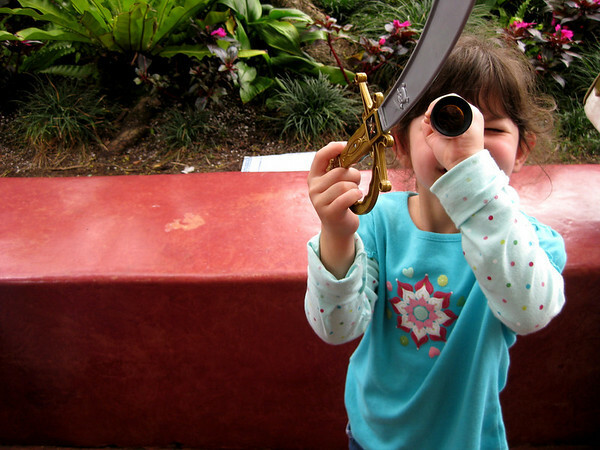 It was $8.00 and kept her occupied the rest of our trip (and she has played with it since we returned home too). She carried the sword through her belt loop and was always ready if trouble approached. We thought that early December, before most schools let out, would be an off peak time of year. I don't have anything to compare it too, but it seemed pretty crowded any way. Now I hear that October and February are off peak as well. You just have to make peace with the crowds as much as possible and appreciate any lulls you come across. With the trip this holiday season our normal holiday happenings have been altered. A. was sad to miss her school Christmas program and her dance class holiday party. Our holiday decorating was much more low key (which was actually a relief); have not finished holiday shopping or homemade gifts; haven't done any holiday crafts or baking with A. (yet) and don't ask me about Christmas cards (maybe they'll be Valentine's Day cards). Although the trip changed our normal holiday routine in some ways, it also created lasting memories and that's most important. I apologize for the steady stream of WDW posts. It seems once I was on a roll, the OCD side of me would not let me stop. I've enjoyed these posts and picts! toy story was not opened yet when we went. another reason for us to go back! when we went in 02 we bought a stuffed Mickey wearing a 2002 shirt. it has been our Christmas tree topper ever since! 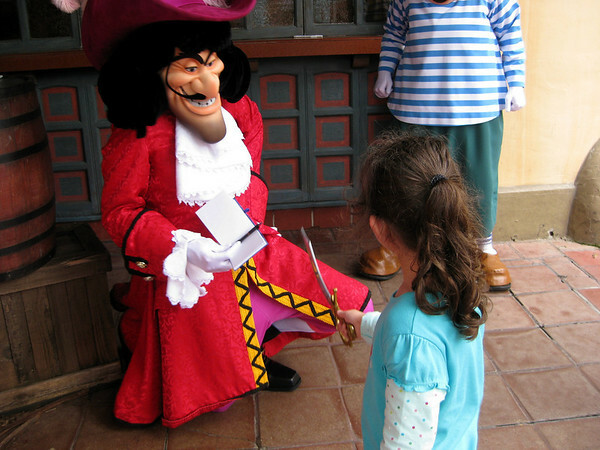 these are great posts- as a parent of a child becoming obsessed with disney, i'm sure we'll end up doing this one day and it's good to hear the feedback on your experiences! i love it! but i can only imagine 5 full park days- i'd go nuts. i'm a 3 day max kind of girl! Thanks y'all. At first 5 days seemed perfect, and in a way it was since we had to learn the ropes of navigating around all the parks and timing things. Now I think I'm a 3 day girl. Holly, the meal plan is sooooo worth it. We have done it twice. When Griffin was 2 we did the smaller one (?Don't remember what they call them?) then last year we did the deluxe or whatever the bigger one is. You totally use it all up esp. since character meals caount as 2 meals. Thanks Natasha! I think we will look more closely at the meal plan and compare when/if we visit again. As always, I'm loving your posts and pictures. 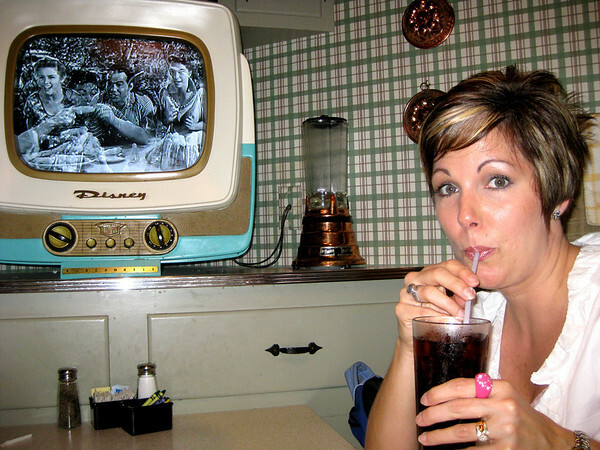 The last time I went to WDW was for my honeymoon and we had a blast. I'd love to see it again through the eyes of kids. Looks like A. had a fabulous time!